We hope you'll join our flock. 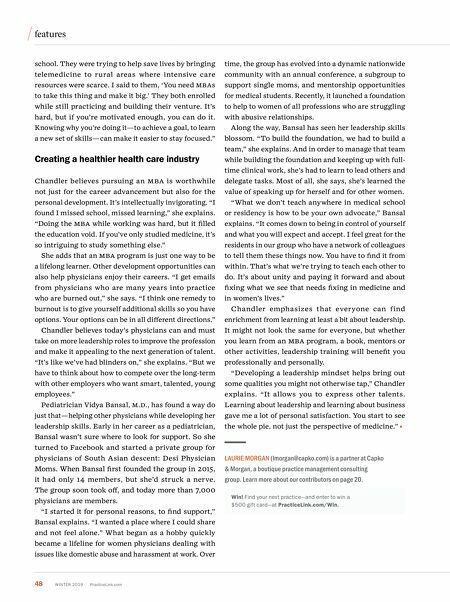 HamiltonHealth.com 706.272.6551 Our nest is best. We invite you to explore physician job opportunities within Hamilton Medical Center and Hamilton Physician Group. We think you will find that we share many of your same goals: advancing your medical career, serving patients, contributing to the community, and helping you to live the life you love. Hamilton Medical Center is located in Dalton, Georgia, a wonderful southern community that is located just 30 minutes from Chattanooga, Tennessee. Our 282-bed regional acute-care hospital offers major medical, surgical, and diagnostic services, including accredited stroke and chest pain centers. Hamilton was recently ranked as the number one hospital in the Dalton and Chattanooga, Tennessee area for Overall Hospital Care by CareChex®. 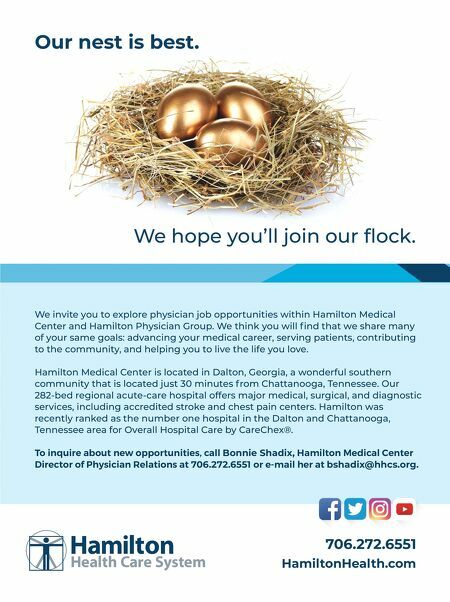 To inquire about new opportunities, call Bonnie Shadix, Hamilton Medical Center Director of Physician Relations at 706.272.6551 or e-mail her at bshadix@hhcs.org.